First: Great wine attracts great food. 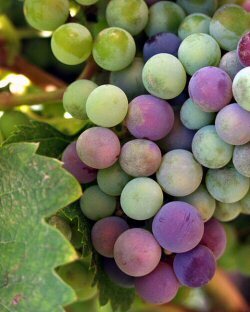 Central California has become a world-class wine producing area which has brought world-class chefs and dining. Second: A perfect climate for agriculture. 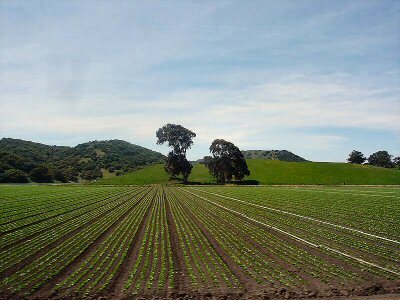 Central California grows a huge amount of the nation's produce. Much of it is shipped overseas as well. But the freshest of all ends up right here close to where it's grown. That makes for great eating. Third: Great beef and lamb is produced here. While a tremendous amount of produce, fruit and wine grapes are grown here, more than half of all the area of Central California is best suited for livestock grazing. Many of the ranchers in the area are producing a much higher quality meat by using natural methods summed up in the phrase "grass fed". The first class restaurants pride themselves on using locally grown and produced products. You will find that it makes for a wonderful meal and fine dining. Lastly, Central California excels in fine cuisine because of its proximity to the rich bounty of the Pacific Ocean. 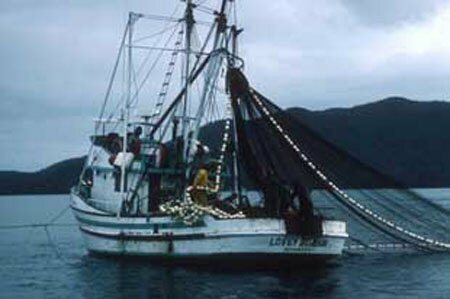 The fishing fleets of both Monterey and Morro Bays supply a rich harvest of "right off the boat fresh" fish and shellfish which the talented chefs of the area put to fine use. We found Madeline's more than ten years ago on an anniversary getaway to the coast and it's the shining star of Cambria restaurants. Chef David Stoothoff is a wizard with food and every meal we have ever had there has been first class. Beef, pork, lamb, wild game, seafood, poultry, you name it - all these primal ingredients have succumbed to Chef David's talents and yielded every bit of flavor they possess. Many restaurants can produce good entrees, but seem to skimp on the side dishes, like the vegetables or potatoes or rice that accompany the main course. Not here, everything is excellently done; everything is delicious. Don't come here unless you're willing to be impressed. And don't come here if you just want to save a few cents. I'll quote my father's adage: "cheap is what you get, not what you pay". You'll get your money's worth here. If you only want the very best, you will be delighted at Madeline's. 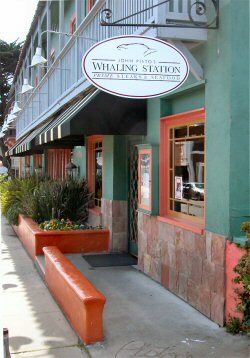 Located just a block up the hill from Cannery Row and the Monterey Bay Aquarium is this exceptional Monterey Bay restaurant specializing in "prime steak and seafood". That's a rather tame statement and truth in advertising would demand that they say "specializing in outrageously good food". On our first visit there, we noticed they had at that time the beef of all beefs - Kobe. We wanted to try it for ourselves. It didn't happen. What happened instead was that we ordered appetizers. The list sounded so good we decided to order two apiece and we should still have had room for the main course. The first was "World's Finest Wedge Iceberg" with onion and tomato and a roquefort dressing. Interesting name. Accurate name. Yet a name that really doesn't do justice to the amazing flavor of this salad. Who hasn't had an iceberg lettuce salad with tomatoes? Run of the mill, average stuff. No big deal. John Pisto has done something special here and made the ordinary extraordinary. On the first bite Handel's Hallelujah Chorus resounded in our mouths! 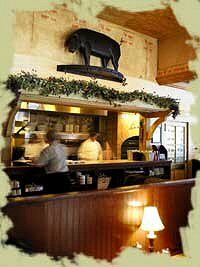 Cafe Roma holds the record for being our longest-standing favorite Central California restaurant. We found Cafe Roma about 25 years ago when we came out to California for a family visit while we were then living in the mid-west. We were impressed then and are still impressed. And if you've read this previous page you'll know it takes a lot for an Italian restaurant to impress us. Looking over the menu, everything we've had at Cafe Roma has been excellent. 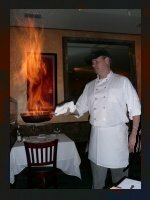 One of my father's specialties was veal scallopini marsala, and no place other than Cafe Roma has duplicated the wonderful flavors he could produce with this dish. Many run-of-the-mill restaurants consider salad to be a filler. I've never been of that persuasion and demand high quality from soups and salads served. It's part of the entire meal. Cafe Roma delivers on high quality from the start and hasn't disappointed yet. McPhee's is a winner in our book for a number of reasons. The food is consistently wonderful, inventive without being pretentious, and the service is great. It's a nice place for a couple to go for an enjoyable dinner in a relaxed atmosphere reflective of Templeton itself. The lunch menu is very good. It's also a fine place for larger groups. We've been here with large groups several times and the food is the same quality as with dinner for two. Given the "grill" in their name, the steaks are always done right. But any of the entrees are always good and I especially love the way they do seafood. The side dishes are creative, interesting and tasty. The desserts (if you have any room left) are scrumptious. Local and California wines are served by the bottle or the glass and local micro brewed beers are also available to complement your meal. Writing this makes me want to jump in the truck and drive to Templeton for dinner. Let's see...I'll get there just as they open...See you there for fine dining!